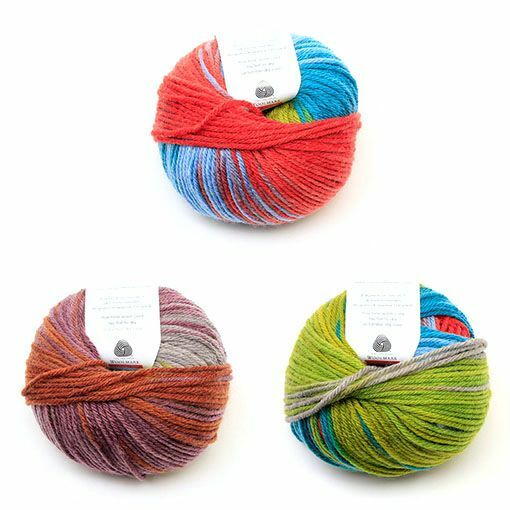 Classic Elite Yarns Liberty Wool is one of our customer's favorite variegated worsted weight yarns. This washable wool is soft to the touch and is available is a color palette of calming neutrals to cheerful brights. The studio is a part of the CEY Liberty Wool monthly subscription program and receives limited print colorways each month. Liberty Wool is perfect for colorful hats, baby garments, modular afghans, playful sweaters and so much more!